Need to insure a Digger? Give us a call and save ££ today! Call Us & Save Up To 25%. One Sure Insurance is a specialist broker located in the heart of the UK, in Stoke-on-Trent. 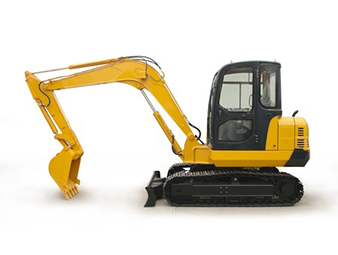 We have put together specialist insurance schemes for Special Types vehicles, such as Diggers. As an independent broker, we put high emphasis on providing an extremely affordable service to our clients, and Digger Insurance is just one of the Special Types vehicles we are able to source cover for. Whether you use your Digger for personal or business use, we will be able to put together an insurance policy that covers the scope of your requirements. We know that Diggers can often be high value in nature, and that's why it's of paramount importance that you protect your assets with a suitable insurance policy. We often find that our clients opt for Comprehensive insurance on their Diggers - which covers you against accidental damage, as well as Fire and Theft. Getting a Digger insurance quotation won't take long. Our trained, specialist commercial sales advisers are available through the week to put together bespoke, tailor made insurance policies for an individual Digger, or a fleet of Diggers. We are able to cover most Digger manufacturers, such as JCB, and can provide added extras such as Public Liability insurance, and Employers Liability insurance if necessary. All of this comes with the personalised service that One Sure are proud to offer. If you're on the market for a Digger Insurance quote, please give us a try!